Green, often rainy, but always beautiful, the county of Kerry is arguably the ultimate Irish destination. Kerry or "the Kingdom" as it often referred to by the Irish, is known for its rich history in Irish language and music, its fantastic mountains and coasts, its involvement in the Irish War of Independence (1919-1921) and the Irish Civil War (1922-1923) and its slightly mad but always welcoming local population, with their rolling dialect. Co. Kerry is easily the most sought-after destination in Ireland for foreign visitors, thanks to the Ring of Kerry, which circumnavigates the rocky Iveragh Peninsula. The MacGillacuddy's Reeks, located near the picturesque Lakes of Killarney, is the one of the most beautiful mountain ranges in Ireland, offering unparalleled views of the Atlantic Ocean from the country's highest peak, Carrauntoohil (1038 m). 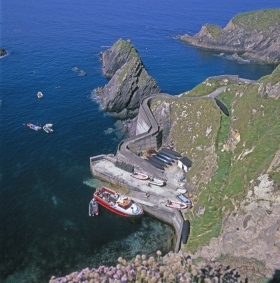 Further west, the Dingle Peninsula – popular with hillwalkers – stretches out into the Atlantic, culminating at Dunmore Head, Ireland's westernmost point. 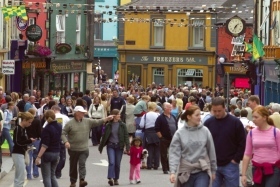 Dingle is a popular town with locals and visitor alike, with many excellent bed and breakfast and guesthouse options offering great value for money and the best in Irish hospitality. Dingle is also renowned for its spectacular local produce - sample some tasty seafood chowder, crab claws or expertly prepared grass-fed beef or lamb in one of the many fine restaurants in Dingle town. From the late spring to the early autumn Dingle's character-filled local pubs buzz with lively banter (on topics ranging from the weather, politics and the much passionately supported gaelic football team) and traditional music sessions. 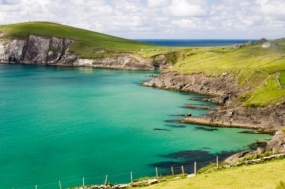 Take a drive around Slea Head, part of the Wild Atlantic Way, taking in many beautiful beaches and the coastal villages of Ballyferriter and Ventry. If you happen to be passing through Ventry in the summer months, a pint of stout at Páidí's bar - named after the legendary Kerry footballer and manager is a must. 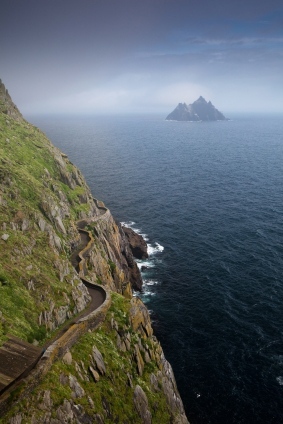 One of the most unique areas are the Skellig Rocks or Skellig Islands which are two islands off the coast of Ballinaskeillgs. The main island, Skeillig Michael was an early Christian monastery that is now a world heritage site. Note that the rock is very dangerous and a couple of tourists trajically died there in recent years due to falls. A boat journey around the island would be equally stunning. 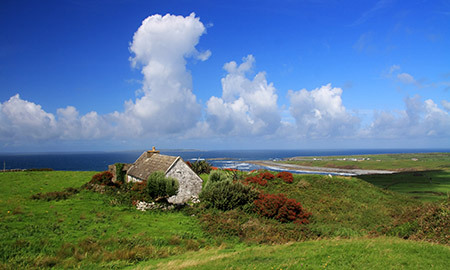 The Maharees Peninsula, halfway between Tralee and Dingle, is famous for its sandy beaches and clean water. The longest beach in Ireland stretches from the Maharees westwards through Castlegregory to Cloghane village – 12 miles in length. All of the beaches are sandy, and many are suitable for surfing and other watersports, such as scuba diving, surfing, windsurfing, canoeing and waterskiing. Equipment and instruction are available locally. During the summer months, a wide variety of entertainment is available, from currach racing to a week-long carnival in July. 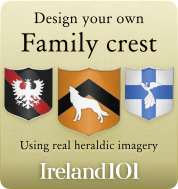 Castlegregory Pattern Day is celebrated on 15 August, when the tradition is to eat locally-made mutton pies and wash them down with plenty of Guinness. One of the more unique and unusual festivals is Puck Fair in Killorglin - where a wild mountain goat is declared king of the town for the three days of the festival, one of the longest running in Ireland. 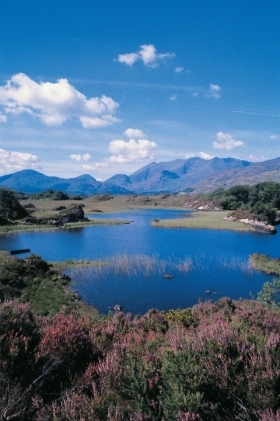 Inland, the warm town of Killarney is a popular pit stop, with more pubs per capita than almost any other place in Ireland. Be sure to take time to explore the serene Killarney National Park, with its myriad of lakes and mountains, and Ross Castle, a 15th century clan fortress. 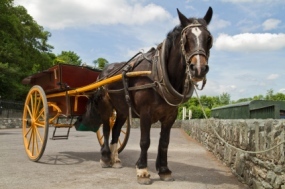 You can take a "jaunty car" (famous horse and cart) around the part for about what we worked out as a euro a minute. The average trip is about 40 mins to an hour. Another way to see the park is by bikes which can be rented just outside the town (cost about 15 euro each for the day with 5 euro extra for a pretty cool little trailer for children). When you are in the park you have to go and see Muckross House. The tour takes about 30 minutes and costs ~7 euro. The house was built for Henry Arthur Herbert in 1843. In 1861 Queen Victory visited the house. The Herberts spent so much money on preparing the house for the Queen's visit that they went bankrupt! Let that be a lesson to you. Apparently the Herberts thought that if they could impress Queen Victoria she would repay them for their hospitality. While Victoria was impressed, her husband died on her return to England and due to her loss the Queen forgot about the poor Herberts, who subsequently went bankrupt! Muckross is a stunning house and is definately worth the visit. The house if full of original furniture and the keepers of the house have blocked out the sunlight in many of the rooms to protect the furniture from fading. As a result it doesn't take much to imagine the Queen walking into the room as it stands today. (Note this tour wouldn't be suitable for young children; book the tour in advance). 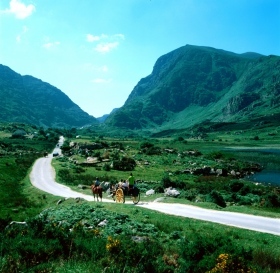 Most people will stay in Killarney while touring the Ring of Kerry (which takes about 3 hours solid driving, half a day with stops. 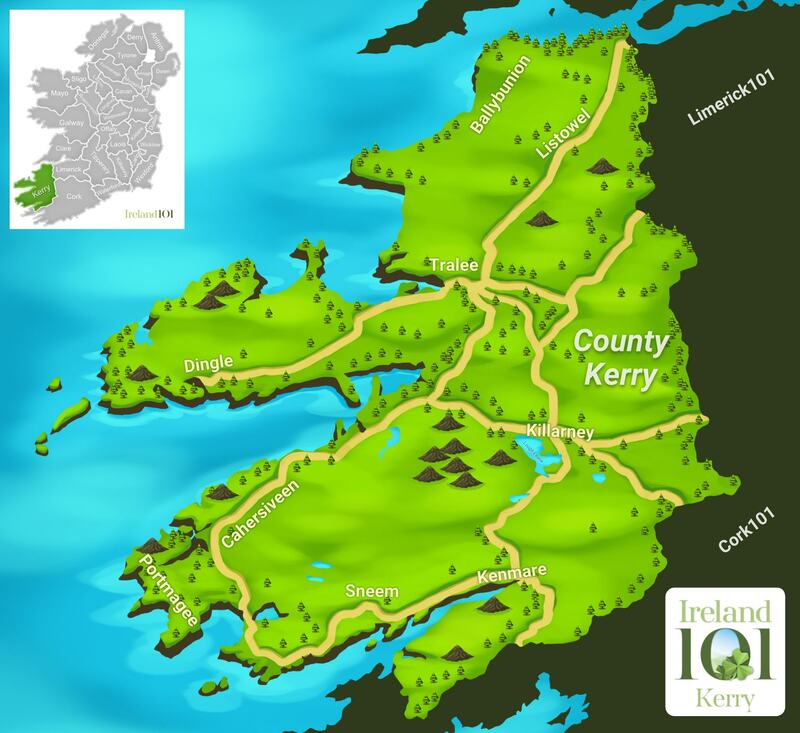 You can drive the Ring of Kerry (counter clockwise to take account of the narrow, winding roads and tour buses) in one sitting; however I would suggest trying to stay at least a night at one of the many accomodation sites on the Ring of Kerry in Kenmare or Glenbeigh. That said, if you do stay in the heart of Killarney there is a great buzz about the town, with live music, comedy and various festivals such as Killarney Bikefest, The Ring of Kerry Charity Cycle and The Killarney Racing Festival taking place throughout the year. In 2015 Killarney will host the Killarney Festival of Food and Music, with acts such as Texas, Burt Bacharach and Duran Duran featuring along with an array of comedy acts and gourmet food on offer. The town is full of high-end hotels and a variety of restaurants and pubs to suit all tastes and budgets. Meanwhile, the near-forgotten town of Tralee is known for one thing only: the Rose of Tralee, a rather twee pageant but ever popular festival, often mocked by the rest of Ireland and the much-loved and oft-quoted Channel 4 comedy Father Ted who had their own ‘Lovely Girl Competition'. Gaelic football is a way of life in Kerry, whose team has obliterated the rest of Ireland by winning the Sam Maguire cup a whopping 37 times. Expectations run high as all eyes focus on the progression of the team during the National Football Chaptionship, which begins in May and climaxes in the Football Final in Croke Park in Dublin in September. 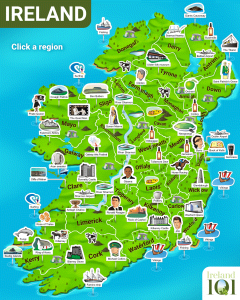 The county is also home to several Irish-speaking Gaeltacht areas, including much of the Dingle Peninsula. 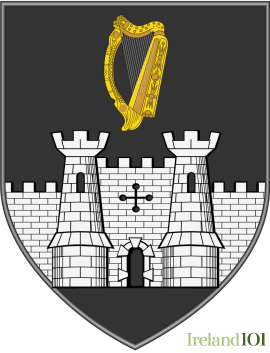 Famous Kerry people include actor Gregory Peck's paternal grandfather, Thomas Ashe, who was an ardent Irish nationalist and took part in the Easter Rising in 1916. Irish liberator daniel O'Connell was from Cahersiveen, Co. Kerry, and actor Michael Fassbender, who grew up in Killarney, and whose parents owned and ran a popular local restaurant called the West End House, still open to diners today. A popular holiday spot for former and current prime ministers or "Taoisigh" (pronounced "thee-shig"), other visitors include former US president Clinton and Charlie Chaplin. 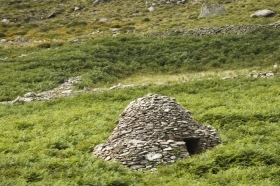 Ring Fort Dingle Also known as Beehive Huts, these date back 4000 years. 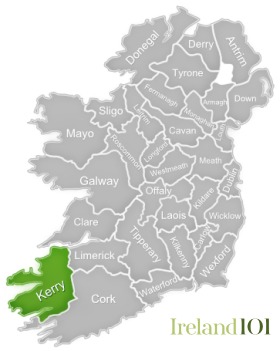 How much do you know about Kerry ?